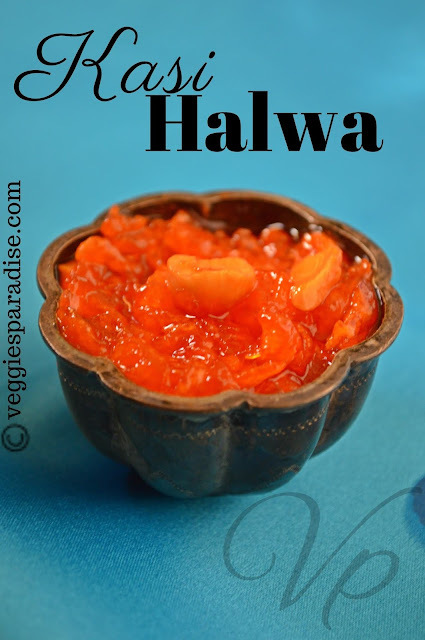 KASI HALWA | POOSANIKAI HALWA - This is a delicious recipe with a taste so divine and mouthwatering, is prepared with white Pumpkin(or) Poosanikai as the main ingredient .This luscious sweet is prepared with just 3 ingredients i.e., white pumpkin, ghee and sugar. I don't think we need any special occasions or festivals to prepare any sweet dishes. So Whenever I have sweet cravings I got to prepare something and hence I ended in making this halwa. Kasi Halwa is one of the most traditional sweets prepared during Diwali and one of the popular sweet served in weddings. This is a very simple sweet to make as there is no need to check for the sugar consistency which is much needed to make for other sweet. I would say that any beginners or bachelors can give a try for this halwa without any worries as the end result is to mix all the ingredients together and keep stirring on a low fire until it comes to a smooth glossy texture. So let's get started and see how to prepare this halwa. First Step - Wash , peel and grate the white pumpkin . We don't need to remove the water as it can be used to cook the pumpkin, but if you find it to be too watery then you can slightly remove the water by gently squeezing it with your hands. Second Step - Heat a tsp. of ghee and fry the cashewnuts until golden brown. Remove from pan and keep it aside. Third step - In the same pan, add the grated pumpkin and saute it well. Allow the pumpkin to cook but if you find that you need some water then you can add the reserved water gradually as needed and cook until it becomes tender. Fourth step - Once the pumpkin is completely cooked then add the sugar along with a pinch of food colour and mix it gently. 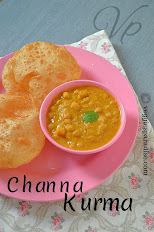 Fifth Step - Add the remaining ghee and continue to cook until the halwa thickens and starts leaving the sides of the pan. Finally add the cashews. Stir it gently and remove from heat. Wash, peel and grate the pumpkin. In the same pan, add the grated pumpkin and saute as to remove the raw smell of it. In a low flame allow the pumpkin to get softened. Now you might find the mixture to be slightly watery but after stirring for a few minutes you will notice the mixture getting thickened and the water dried up, the halwa texture getting more glossy and shiny. At this stage add in the roasted cashews and the remaining ghee. Keep stirring until the halwa starts leaving the sides of the pan. If you need to add more taste to this halwa you can add cardamom powder. 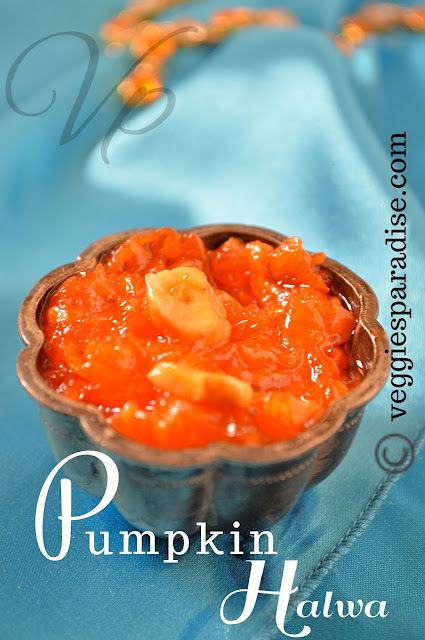 Make sure you add the sugar only after when the pumpkin gets cooked well. I felt amount of sugar I used was sufficient. You can add or reduce it according to your taste buds.